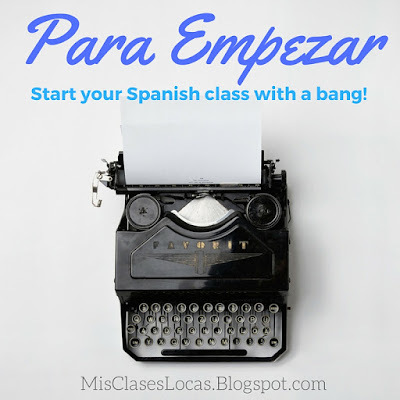 Something I posted about my first summer was how I start each class, Para Empezar. Now every week does not follow this exact plan, such as when we did our March music madness, but these give a good basic guideline for consistency and structure during the week. Why have a Para Empezar Bell ringer? Classroom management - Students have something to do as they walk into the classroom. They know that as they walk in the room, there is a task they should be completing. It helps to get them to their seats and thinking about Spanish. All you have to do is ask the magic question, "What is your job right now?" as you circulate after the bell rings. 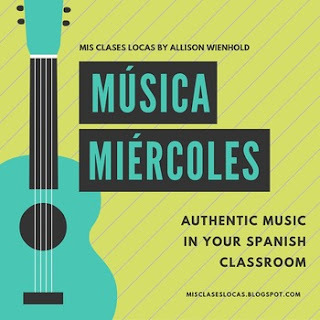 Fun Routines - Many students have told me that Música miércoles or Baile viernes is their favorite part of Spanish class. There is something to be said about hooking students with the love of the Spanish culture and the camaraderie and family that comes with goofy class traditions. If spending 5 minutes a week listening to a song in Spanish keeps a student to take the next level of language study, I am all for it. Be consistent - Have a Google slideshow ready that pull up on the projector AT THE END of the previous class. This way their task is ready to go and you can do hallway duty, go to the restroom, fill up your water bottle, or chat with other human adults for one minute. Once the bell rings, I enter class, shut the door, and the expectation is everyone is doing/starting their Para Empezar. Minimal Accountability - In their binders there is a Para Empezar section. 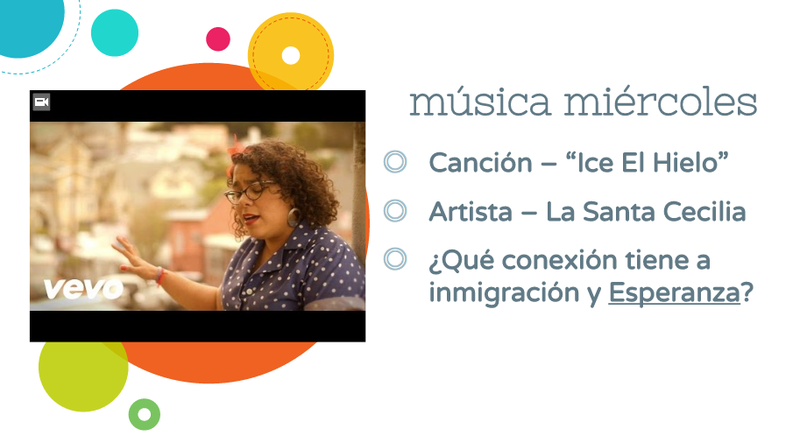 This is where they answer questions if there is a prompt, write the song and artist for Música miércoles, or complete any tasks that is asked of them. Here there is also a simple reading log to record where they are at in their choice reading books. Do I collect or look at this? Rarely. I give out "chile" rewards to those who are hard at work when the bell rings, and sometimes give minimal completion points for those classes who need extra encouragement to stay on task and do their job. The students know that everything we do is practice for formative assessments, and they should do whatever it is that will help them prepare to move up the next proficiency level. This is usually a short video I found on Pinterest relating to their topic, holiday or a current event item of interest. It is a great way to grab their attention on a dreary Monday while sneaking in an entertaining cultural authentic listening source. 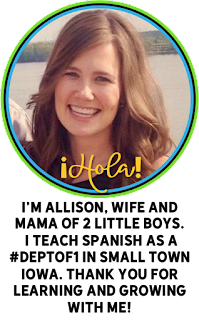 Weekend Chat - For Spanish II and above we discuss our weekend and sneak in some past tense. They think we are wasting time casually chatting, but really we are getting in sneaky repetitions of the past tense. Here are 4 variations on weekend chat by Andrea Brown. Free Choice Reading - We start both Tuesday & Thursday by having about 5-15 minutes of free voluntary reading. 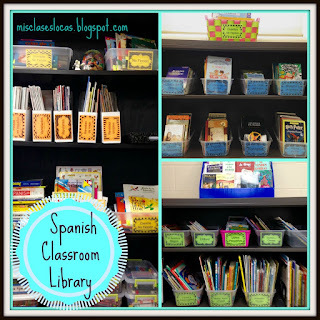 See this post about how I started my own classroom library. Students know on these two days they go straight to the classroom library and pick out something to read. 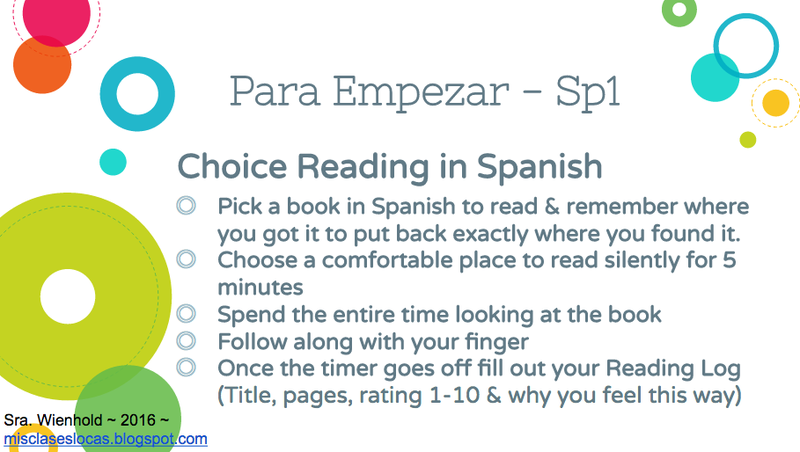 We start second semester of Spanish I with 5 minutes of reading from my classroom library. This time builds up each level, and I judge it based on class engagement. Students fill out this basic log, to keep track of what book/page they are on, and if they liked the book enough to keep with it. Sometimes we extend by having students share with a neighbor asking about their book. 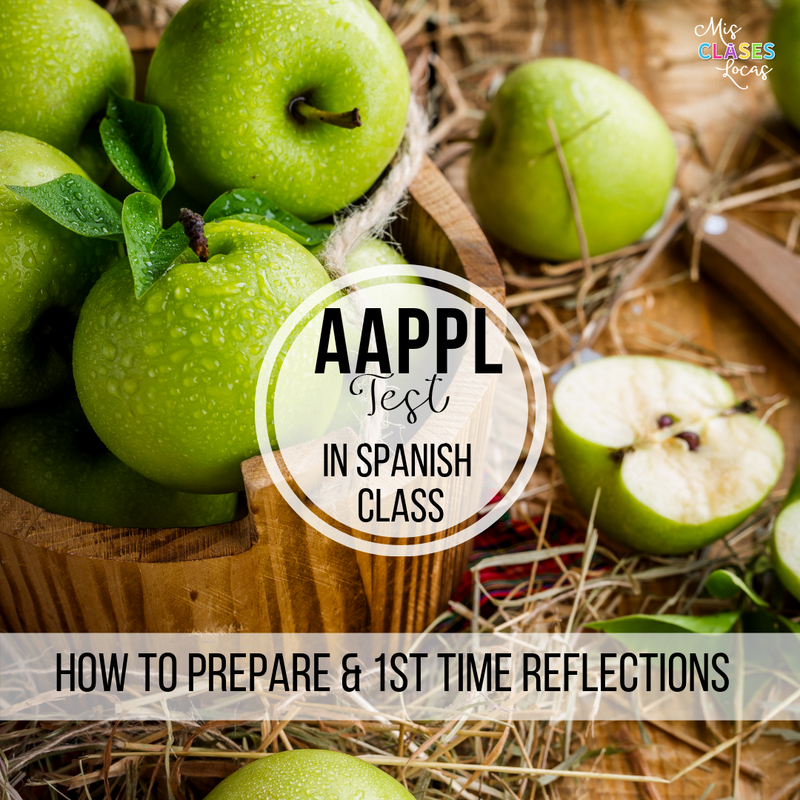 The point is to give students a chance to free read ANYTHING in Spanish. As students enter class on Wednesday a video in Spanish is playing. These are embedded in Google slides with the artist, title, and some kind of task posted as well. Students watch the video and we then discuss or write about it. See this post for more detail about música miércoles. I have many pre-made slideshows just for música miércoles. Para Empezar: Música miércoles GROWING BUNDLE! Música miércoles 4 - with embedded videos! Música miércoles 5 - with embedded videos! Friday has become many students favorite day of the week because they get to dance! They put their stuff down and start dancing right away to a video that is projected on the screen. Many students who are not even in class join in the fun as well. 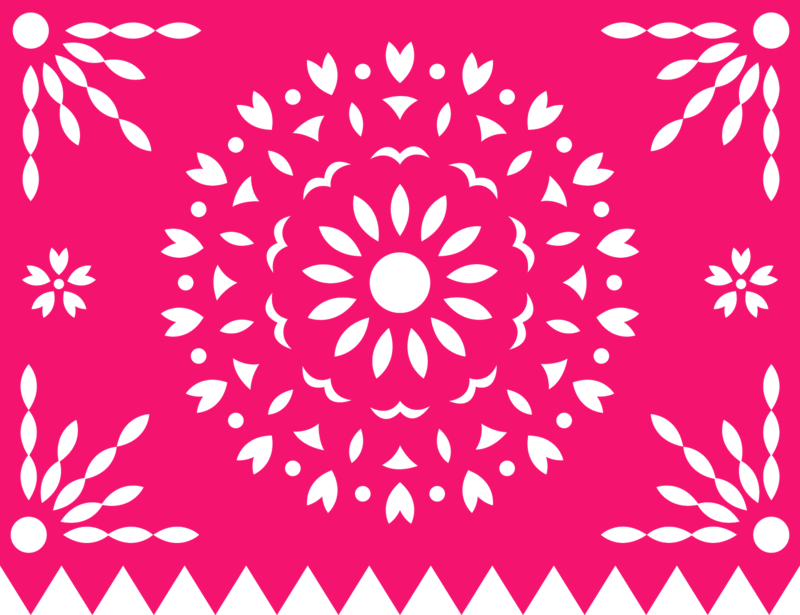 See this post on baile viernes for more details. I have many pre-made slideshows just for baile viernes as well. 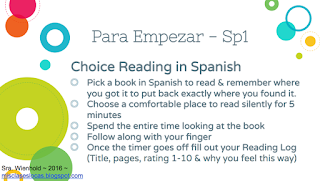 Are you interested in implementing daily Para Empezar bell ringers, but do not have time to create them or a classroom library for Tuesday & Thursday? Then I have you covered! Below are a variety of slideshows to get you started. Do you have class starters? What are they and how do you implement them?